The Track4 Outdoors Public App allows visitors to access all of the Track4 Outdoors functions with the convenience of a mobile app. The app is available free to download on both Apple and Android devices. Visitors can attend races that is presented on screens at the site, become the top performer in the trail, create logbooks of their activities that they have performed during the week, give feedback to the facility, including text and images. This gives an added value for the user to be involved and allows the facility for a better prioritisation of work schedules and better. 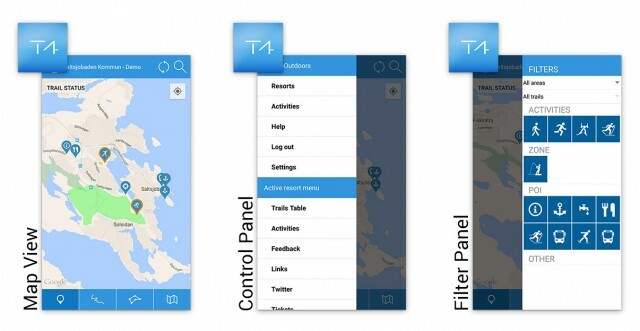 All of the relevant trail and POI information are stored on the mobile device so that it continues to be useful, even if you lose mobile internet connection.